The Redskins placed Quinnn (ankle) on injured reserve Wednesday. Analysis: The 2017 seventh-round pick thus finishes his rookie season with nine catches for 75 yards and a touchdown in three games. 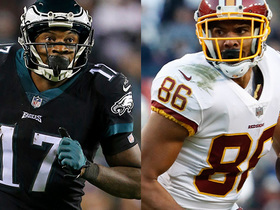 With Quinn no longer in the mix, Washington's top healthy wide receiver options are Jamison Crowder, Josh Doctson and Maurice Harris. Quinn (ankle) is inactive for Monday's contest at Philadelphia. 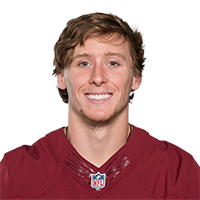 Quinn (ankle) was spotted with a walking boot Sunday following the Redskins' team flight to Philadelphia, JP Finlay of NBC Sports Washington reports. Quinn (ankle) is questionable on the Redskins' preliminary injury report for Monday's game against the Eagles. Analysis: Quinn was a limited practice participant Thursday and Friday, but Saturday's participation remains unclear as the Redskins are practicing Saturday night. Heading into the last practice, there's been little to suggest the 22-year-old is in real danger of missing Monday's game. With that said, Jamison Crowder (ankle) is also questionable after missing the last seven games, and could very well cut into Quinn's snap share if able to return. Quinn (ankle) remained a limited participant at practice Friday. 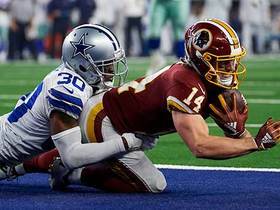 Analysis: With Jamison Crowder (ankle) finally practicing and making progress, Quinn may soon find himself marginalized in the Washington passing game. For the time being, it seems likely Quinn will retain a role of some kind for Monday's game against the Eagles. There hasn't been anything to suggest the rookie is in serious danger of sitting out. Quinn (ankle) was a limited in practice Thursday. Quinn caught all four of his targets for 49 yards and rushed once for no gain in Sunday's 23-21 loss to the Texans. Analysis: Quinn did an admirable job as Washington's slot receiver. 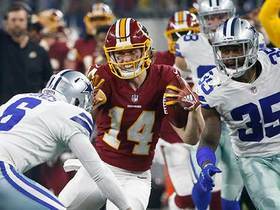 The Redskins' passing game got even less appealing in this one with quarterback Alex Smith suffering a broken leg, so Quinn's value will probably be restricted to deeper formats against the Cowboys in Week 12 and beyond. Quinn will be the Redskins' starting slot receiver for Sunday's game versus the Texans. 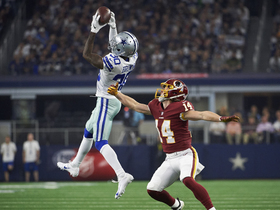 Analysis: With Jamison Crowder (ankle) absent for a sixth consecutive contest, Quinn will draw the assignment in his first game since the regular-season opener. Snaps should be aplenty, but Quinn, a rookie, may not produce much against a Houston defense that has given up 7.3 YPT and six touchdowns to wide receivers in nine games this season. Coach Jay Gruden said Quinn (ankle) would serve as the Redskins' punt returner if active for Sunday's game against the Texans, John Keim of ESPN.com reports. The Redskins activated Quinn (ankle) from injured reserve Wednesday, JP Finlay of NBC Sports Washington reports. Quinn (ankle) participated in practice Thursday, opening the 21-day window for the Redskins to activate him from injured reserve, JP Finlay of NBC Sports Washington reports. Coach Jay Gruden said the Redskins have yet to make a decision on Quinn's (ankle) expected return to practice, John Keim of ESPN.com reports. "We're not ready to say that yet," Gruden relayed Monday in relation to activating Quinn from IR. "We're close to saying that, but we'd like to get him out there on Wednesday to see where he's at before we start his clock." Watch the top plays of all three Thanksgiving Day games. 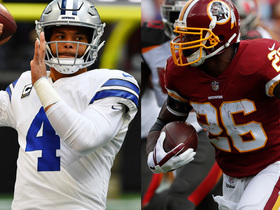 Match-ups include the Chicago Bears vs. the Detroit Lions, the Washington Redskins vs. the Dallas Cowboys, and the Atlanta Falcons vs. the New Orleans Saints. 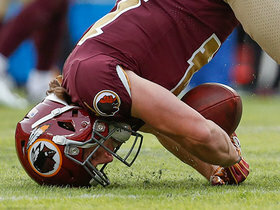 Washington Redskins wide receiver Trey Quinn rattles off a nice 30-yard punt return. 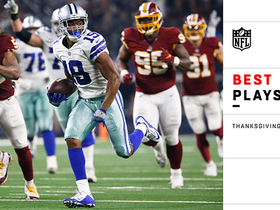 Dallas Cowboys cornerback Anthony Brown intercepts Washington Redskins quarterback Colt McCoy.